Consider how differently carrots, eggs, and ground coffee beans are affected by the extreme adversity of being boiled. Like a carrot, adversity can soften us. We can emerge more flexible, understanding, compassionate, and grateful. Or we can let our life spirit turn into a soft mush. 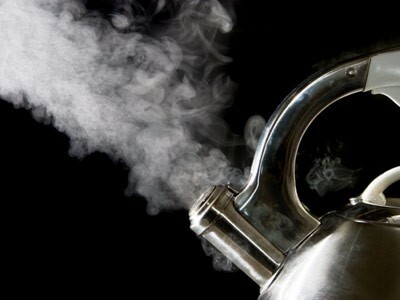 Like an egg, boiling water can make us harder, stronger, tougher, and wiser. Or we can become more cynical, pessimistic, callous, and inaccessible. And like a coffee bean, we can willingly transform our lives into something better. We can’t control much of what happens to us BUT we do have a lot to say about how we react and so what happens in us. The first – and most obvious – step to turning adversity into advantage is to get out of the hot water as quickly as possible (!). Don’t dwell on catastrophe. Grieve but move on. Don’t define your life by misfortune. Second, focus on moving forward. Draw on your inner strengths. The people who love you. Your faith to transform your life into something better. Formulate a vision of a more purposeful life filled with people and experiences that will help you become more fulfilled.